Here is a book about trees: their root systems, their destruction, and our absolute unimportance in the face of their ancientness. 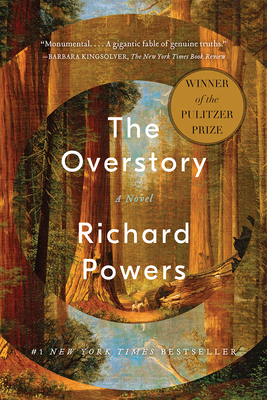 The Overstory - Richard Powers' magnum opus - is a tangled epic, spanning a century of poorly-lived life in America, proof that the best writing you're likely to read in this era of immanent environmental apocalypse is going to be about, say, trees. Since I finished The Overstory I have looked at the world in an entirely different way, and I can't remember the last time a book has done that to me.